Describing small scale parts as jewel-like seems a bit of an exaggeration, but Mini World's exquisite investment cast bronze parts truly look more like jewelry than scale model accessories. This set consists of 9 cast bronze parts for the gun, ammo box, mounting bracket, shoulder piece, tripod legs and wheels; a small photo-etched fret for the spade grips and sights for anti-aircraft and ground use; a separate etched-brass shield; and a short length of wire to use for making the handles of the spade grip and the axle for the carriage. 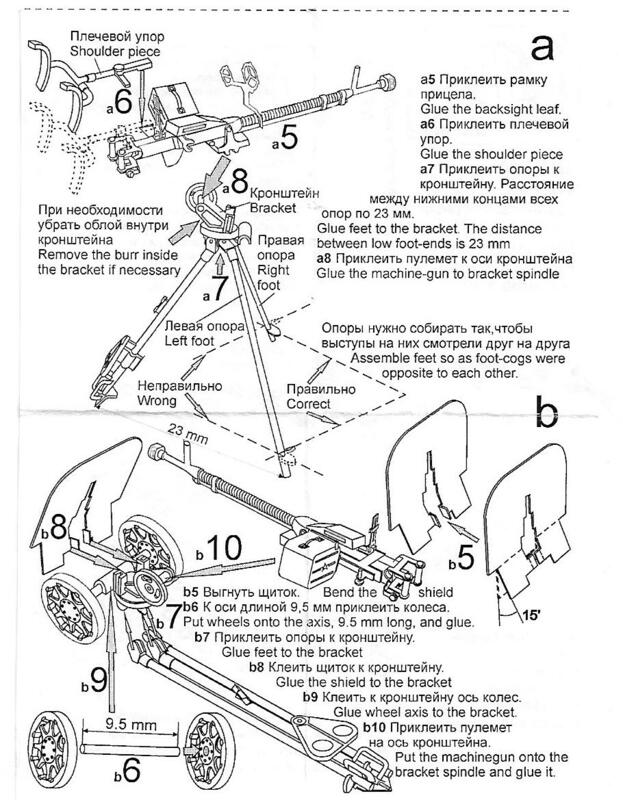 A length of linked ammunition is also provided as a photo-etched part, but is not mentioned in the instructions. 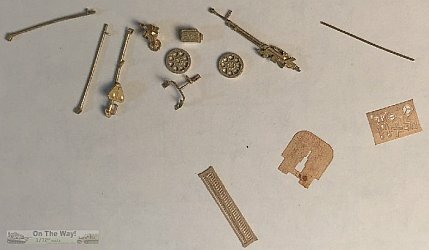 The bronze parts don't appear to need any clean up. The mount can be depicted as an anti-aircraft tripod or as a wheeled mount with shield. 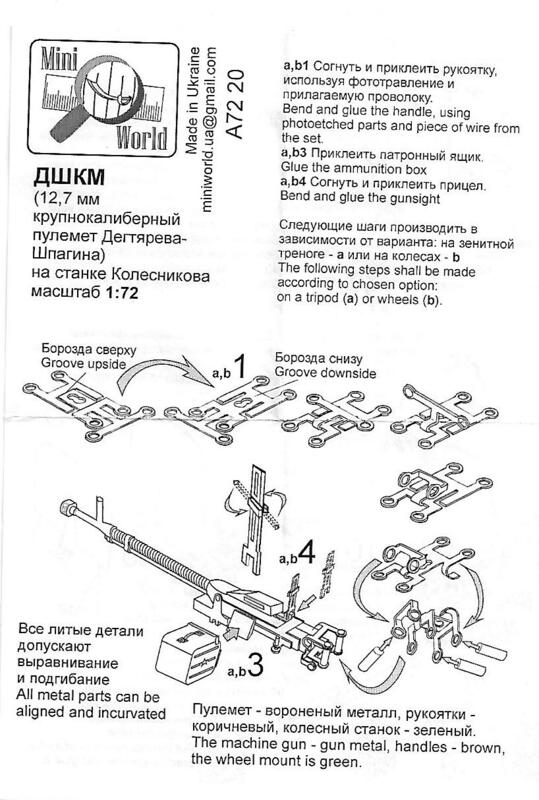 The instructions are provided on a small sheet with captions in both Russian and English. A brief note provides basic colour information for the gun. 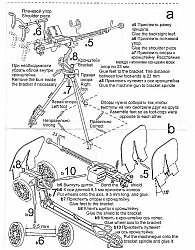 Highly recommended to anyone looking for a beautifully detailed replica of the Soviet Union's standard heavy machine gun. This simple set provides 10 beautiful replacement 30-cal machine gun barrels, complete with perforated cooling jackets and an indentation at the tip. I believe these parts are investment cast bronze, rather than turned brass or aluminum. 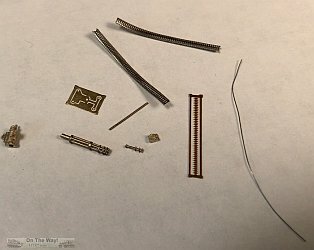 These can easily be used to upgrade plastic barrels on Shermans and many other kits. This set consists of 4 cast bronze parts for the barrel assembly, and insert between the barrels, the drive assembly, and the trigger assembly; a small photo-etched fret for the spade grips; two lengths of flexible ammo belt feeder; a short length of thick wire to use for making the handles of the spade grip; and a length of thinner wire for the power cable. 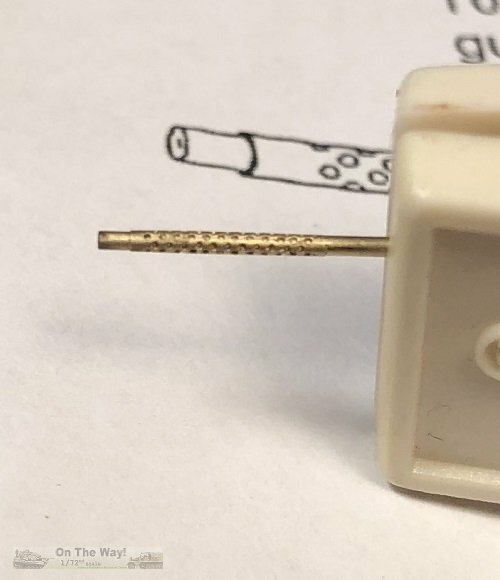 A length of linked ammunition is also provided as a photo-etched part, but is not mentioned in the instructions. The bronze parts don't appear to need any clean up. 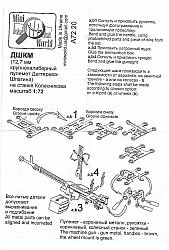 The instructions are provided on a small sheet with captions in both Russian and English. The original M134 Minigun was developed for aircraft applications, and lacked any spade grips or sights for manual aiming. The XM93 armament subsystem fitted to UH-1 Hueys introduced a flexible mount, with twin grips (each more like an aircraft's control stick grip). Miniguns were sometimes salvaged from damaged aircraft and fitted to M113s and gun trucks - these could feature the helicopter mounts, or field manufactured mounts. The mount and spade grip arrangement in the kit most closely resembles the Navy's GAU-17/A set-up, so may not be appropriate for all applications. Miniguns were noted for their voracious appetite for ammunition, and would typically require a large capacity ammunition supply, as well as an electrical power supply. 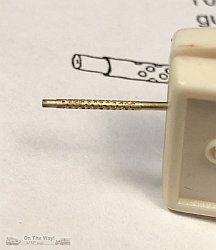 Neither of these details is provided in the kit . Another fantastically detailed kit from Mini World, now I just have to find the right project to mount it on!